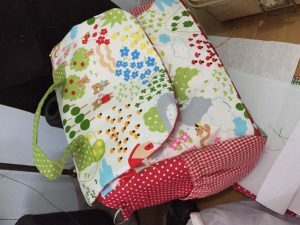 just to make this simple bag, i have to struggle. While listening to the screaming boys around (fighting between themselves or picking up fight with me etc. goodness), being disturbed by their activities around me, and being interrupted by other things, i do my best to make some bags for souvenir for some ppl i want to appreciate. There are another 1 finished and 1 WIP. I messed up bcs of lack of concentration but things ran well in the end. Thank God. Will make more like this with different fabric pattern. I wish to sell something like this but of course, i must take a longer time to make it more carefully so the quality will be better than this one. I am trying to meet the deadline for these bags. So, some parts that shouldnt be sew by machine, i did it. Perhaps, i also miss 0.5mm sometimes. Haha. Really, i’m a bit annoyed if i do that when making bags. 😂😂. 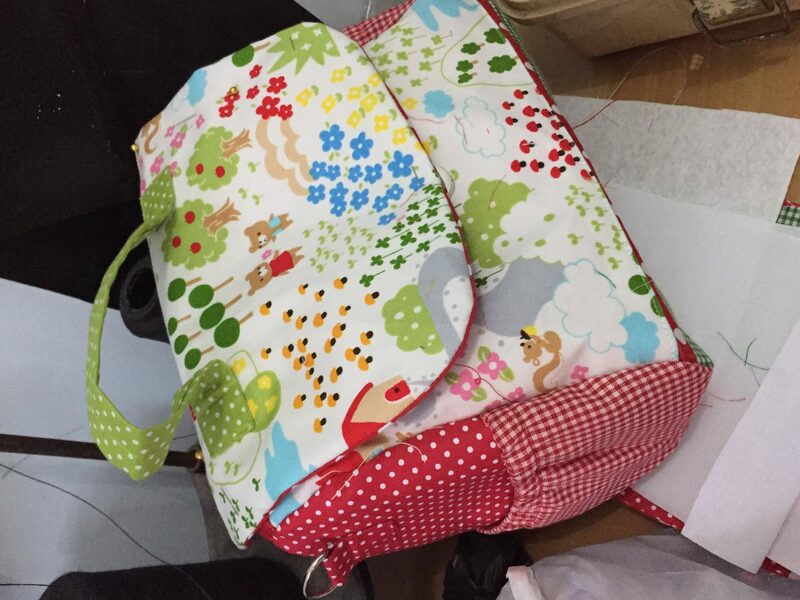 So, to make a more precise and better bag, i am going to spend more time to make 1 bag. Mood takes big portion here actually. With all those interruption, i struggle actually to make one even without deadline.